There are a number of advantages to a professionally landscaped lawn or garden. Yes, a lovely looking garden can be attractive to look at but there also are a number of economical benefits to looking after your outside area. Using the professional landscaping service from Blooms Landcare can cut energy costs as much as up to 25%. and Planting certain trees, shrubs, and perennials in your lawn or garden can lower the temperature, keeping your home cool, therefore, reducing energy costs in the long run! Professional landscaping can also ensure that you have an abundance of beautiful plants, flowers, and vegetation that can be used for a number of things, including gifts or home use. 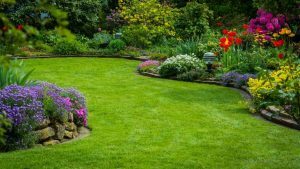 A well-groomed lawn or garden isn’t only pretty to look at, it can increase the resale value of your home if you ever choose to sell. When a potential buyer is looking for a new home, they take absolutely every aspect into consideration, including the outside of the house. If your garden is well maintained, it will attract buyers and increase the value of your home. When a garden isn’t properly maintained, the plants and shrubs can begin to rot and die. This is not healthy for the environment or your garden. Regular and professional maintenance will ensure that your garden, and everything in it, remains healthy and alive, no matter what time of year it is. If you would like to speak to a professional landscaper about the next steps in creating an economical and healthy garden, pick up the phone and dial (817) 688-5352. At Blooms Landcare, we’re here to help you when it comes to all things landscape related.